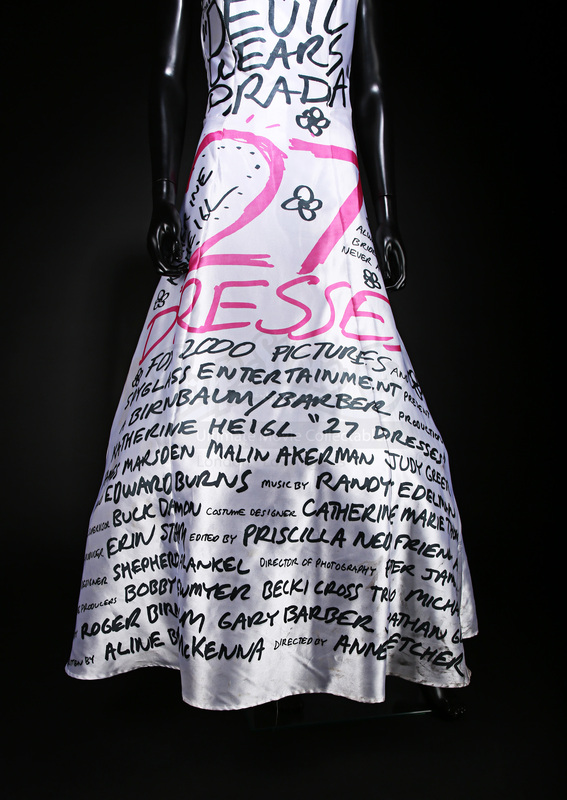 A promotional dress used for the premiere of Anne Fletcher’s 2008 romantic comedy 27 Dresses. Sweet and loyal Jane (Katherine Heigl) has been bridesmaid 27 times. Haplessly in love with her boss George (Ed Burns) she is devastated when he falls in love with her flaky and insensitive sister (Malin Akerman) and proposes. Will Jane ever get to be the bridesmaid instead of the bride? 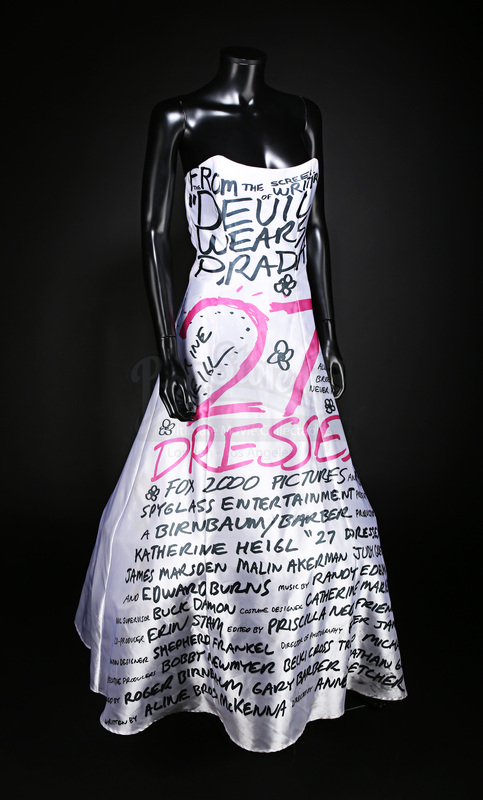 This promotional dress was used at the premiere for the film. It is the same style that is worn by Katherine Heigl for the promotional material for the film. During the premiere, a group of women all wore dresses of this style and posed with the stars of the film on the red carpet. 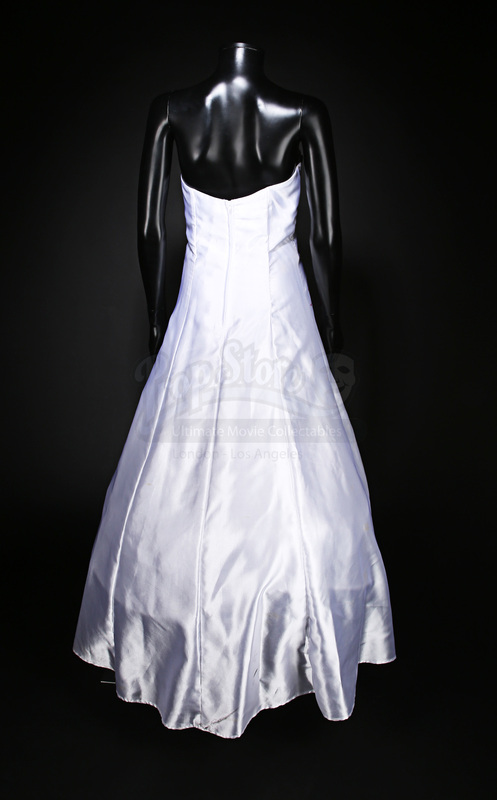 The dress is white sateen and is in the style of a strapless wedding dress with panel detailing. 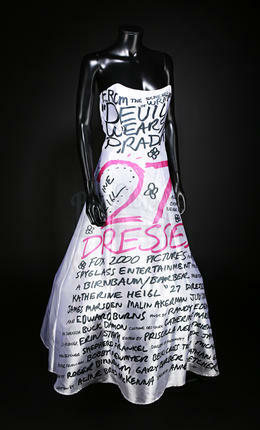 On the front of the dress is the film information including the tagline, title, cast and crew. The writing is in black and pink, complete with doodles of hearts and flowers just as it appears on the film poster, worn by Katherine Heigl. The dress zips up at the back and is floor length with some structuring around the bodice. 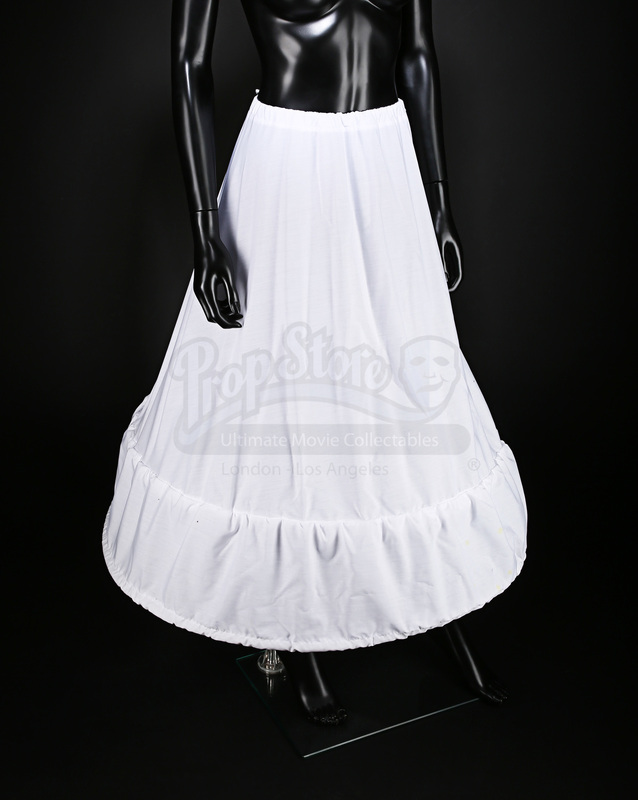 Underneath the dress is a separate petticoat with a hoop to give the skirt added volume. 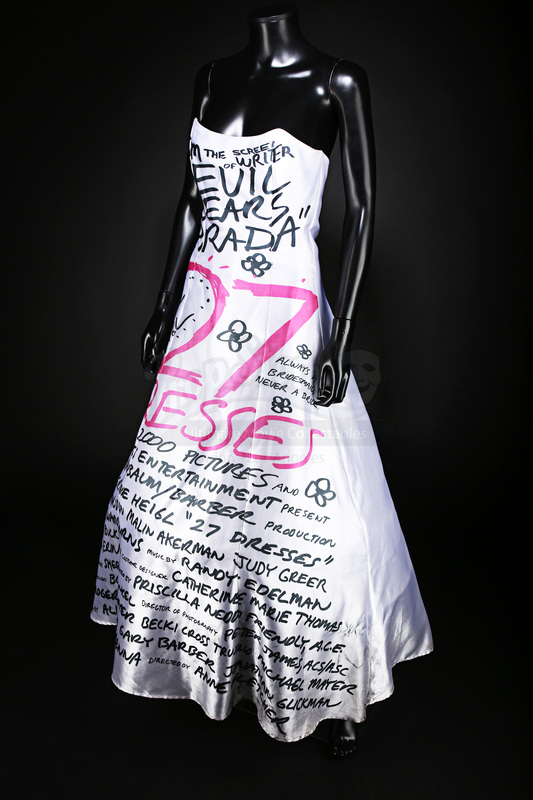 The dress comes with press material from 20th Century Fox, including a promotional press release filled with facts, information and imagery of the film, as well as the original press pack bag. The bottom of the dress shows signs of wear including dirt and scuff marks around the hem, but it otherwise remains in very good used condition. Material: Man-Made Fibres, Ferrous Metals.